Renewable energy was on the agenda this year as the price of wind and solar power plummeted. LONDON, Dec 29 (Thomson Reuters Foundation) - As 2017 draws to a close, the term 'resilience' has become a buzzword for many humanitarian organisations and governments who are set on preparing for major disasters so any recovery is much easier. Resilience covers broad disasters ranging from climate change induced floods and droughts to economic shocks and health epidemics. At the frontline of these changes are communities - people who unite in a common cause to benefit the wider population. Renewable energy was on the agenda this year as the price of wind and solar power plummeted, while mayors from 25 cities pledged at international climate talks in November to cut their carbon emissions to net zero by 2050. 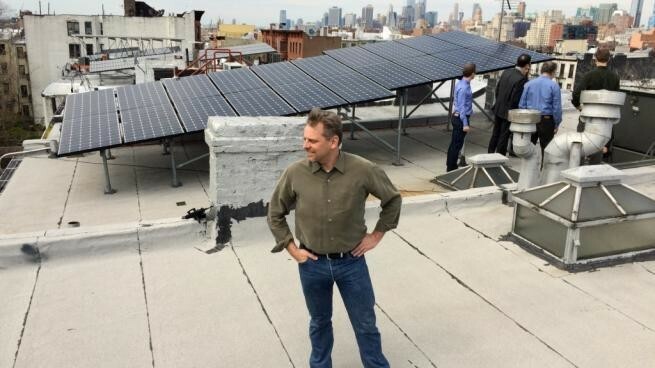 In New York City neighbours living across the street from each other in Gowanus Canal and Park Slope figured out how to trade excess solar power through a scheme called the TransActive Grid and electrified their community. Similar local schemes have been launched in Australia, Finland and South Africa and experts say this could herald a global energy revolution as communities take direct control of their energy access. In Niger, young people armed with smartphones and boots used data to map flood risks. In one of the world's poorest countries, flooding killed at least 56 people and destroyed thousands of homes in the 2017 rainy season, according to the interior ministry, with residents concerned that efforts to rebuild were not fast enough. A team of 20 "investigators" - a mix of students and young professionals from OpenStreetMap Niger - plotted flood-prone areas on their smartphones in two of Niamey's districts. By the end of August the group had drawn up a list of more than 15,000 properties and buildings at risk that were sent to Niger's interior ministry to help target relief efforts in times of flooding. On the Indonesian island of Lombok, crunchy tortilla chips and shrimp paste transformed one housewife reliant on her husband's unstable income into the main breadwinner. In a coastal neighbourhood with low levels of development where most people live off fishing, a small development project aimed at diversifying incomes helped women and the poorest into stable work. A project taught women how to make and package the snacks locally which were then sent to bigger towns to sell. Climate change cannot be solved by governments alone. How can the private sector help? After a 7.1 magnitude earthquake shook Mexico in September killing at least 369 people and leaving thousands homeless, architects asked communities in the town of Jojutla in Morelos state to donate empty plastic bottles. These were filled with rubble and local humanitarian agencies showed people how to use them to build simple, emergency shelters to protect those left homeless and at risk of aftershocks and tremors. The so-called "bottle-bricks" were found to be four times more resistant to earthquakes than concrete due to their flexibility, experts said. The agonizing childbirth injury obstetric fistula still ruins the lives of millions of girls and women in the developing world with a number of community initiatives underway in Africa to encourage better treatment. This included training community ambassadors in Cameroon to encourage women with fistula to get treatment, providing cash for transport to hospitals in Tanzania, and telephone medical hotlines for women in remote locations in Burundi. Men were also enlisted into so-called "husband schools" set up to educate them about the dangers of home births and child marriages, while in Ethiopia scores of fistula surgeons were being trained.